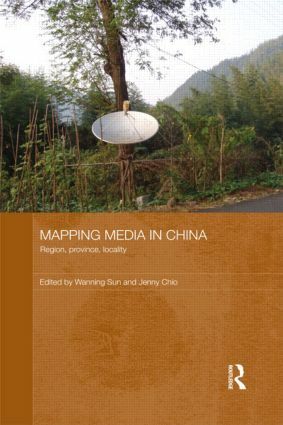 Mapping Media in China is the first book-length study that goes below the ‘national’ scale to focus on the rich diversity of media in China from local, provincial and regional angles. China’s media has played a crucial role in shaping and directing the country’s social and cultural changes, and whilst these shifts have often been discussed as a single and coherent phenomenon, this ignores the vast array of local and regional variations within the country’s borders. This book explores media as both a reflection of the diversity within China and as an active agent behind these growing differences. It examines the role of media in shaping regional, provincial and local identities through the prism of media economics and technology, media practices, audiences, as well as media discourses. The book covers a wide range of themes, including civil society, political resistance, state power and the production and consumption of place-specific memory and imagination. With contributions from around the world, including original ethnographic material from scholars based in China, Mapping Media in China is an original book which spans a broad range of disciplines. It will be invaluable to both students and scholars of Chinese and Asian studies, media and communication studies, geography, anthropology and cultural studies. Wanning Sun is Professor of Chinese Media Studies at the University of Technology, Sydney, Australia. Jenny Chio is a Postdoctoral Research Fellow at the China Research Centre, University of Technology, Sydney, Australia.